Project Summary. Global earth systems and climate models attempt to integrate geophysical processes with the biology of microbes to metazoans to predict the dynamics of carbon and biogeochemical cycles and of biodiversity. However, the smallest biotic agents on the planet - viruses - are rarely, if ever, included in such models, despite empirical evidence that viruses may have dramatic consequences on model predictions. Viruses infect and kill bacteria, archaea and microeukaryotes at the base of the ocean's food web. Viral-induced mortality of microbes releases carbon and other nutrients back into the environment and, as a consequence, redirects these materials away from higher trophic levels (e.g. plankton and fish). Theoretical work on aquatic viruses is in its infancy and has not yet resolved the quantitative effects of viruses on carbon and other biogeochemical cycles. 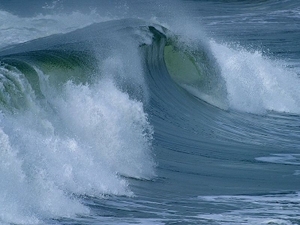 The goal of this working group is to identify and devise analytical approaches to quantifying viral effects on the biogeochemical dynamics of carbon and other key nutrients in the oceans. The group plans to: (i) assemble and synthesize available empirical information on how viruses affect carbon and nutrient flow in microbial communities; (ii) design and analyze dynamic models of viral effects on microbes in a modular format suitable for inclusion in global-scale earth systems models. 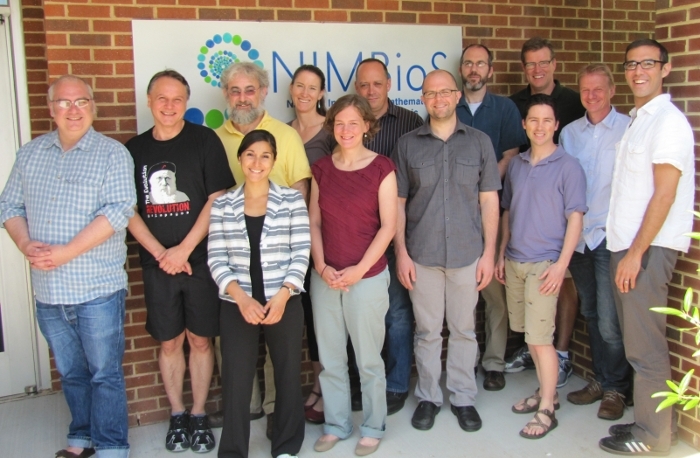 The working group includes viral ecologists specializing in aquatic ecosystems, microbiologists focusing on carbon and nutrient cycles and theorists with expertise in viral ecology and large-scale ecosystem models who will work together toward these shared goals. Meeting 1 Summary. The working group discussed broad challenges in understanding the ecological role of viruses in the oceans. One such challenge is to quantify the effect that viruses have on carbon and nutrient cycles. The group identified a set of research questions that require a combined empirical-modeling approach in order to understand how viral interactions at a cellular scale affect ecosystem level function. These questions include the statistical analysis of viral effects data as well as the integration of viral models across spatiotemporal scales. Two collaborative projects were initiated with the goal of having preliminary results by the next meeting, October 22-24, 2012. Meeting 2 Summary. During the second meeting, the working group focused on ways to integrate models of viral-host interactions with data on viral effects in marine environments. First, the group reviewed preliminary models developed as a result of discussions that took place during Meeting 1, as a means to test hypotheses regarding viral effects on carbon and other nutrient cycles. Second, the group discussed the state of data relevant to viral effects from ocean surveys. Finally, the group discussed new opportunities to connect viral models and data at global scales. Multiple collaborative projects will continue with the goal of having initial drafts of a viral-effects model, including analysis and results completed by the third meeting, June 3-5, 2013. Meeting 3 Summary. During the third meeting, the working group discussed results of ongoing work on integrating models of viral-host interactions with data on viral effects in marine environments. First, the group reviewed model results developed as a direct results of discussions that took place during previous meetings and follow-up work that took place between meetings. These models were developed to test hypotheses regarding viral effects on carbon and other nutrient cycles. Second, the group discussed the state of data relevant to viral effects from ocean surveys, including statistical analysis of the available datasets. Multiple collaborative projects will continue with the goal of having submissions of both a modeling paper and a data analysis paper by the fourth and final meeting, January 7-9, 2014. Meeting 4 Summary. During the fourth meeting, the working group discussed results of ongoing work on integrating models of viral-host interactions with data on viral effects in marine environments. First, the group reviewed progress on analyzing viral-associated data from ocean surveys. 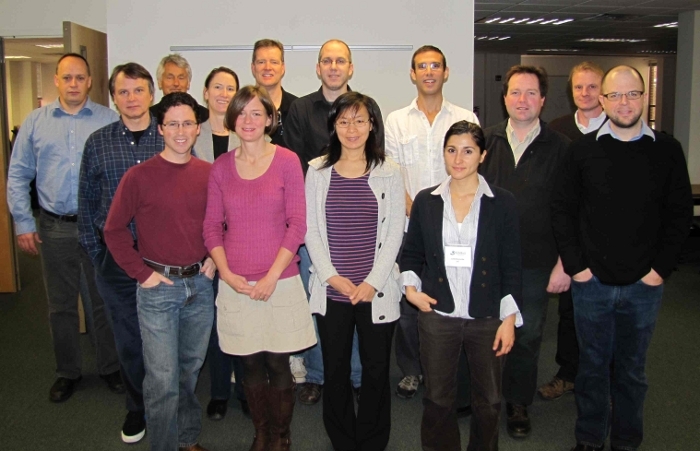 Second, the group reviewed progress in developing models of viral effects on ocean ecosystems. Preliminary drafts were discussed and a timeline was proposed to submit both manuscripts and coordinate future follow-up activities. Meeting 4 participants (L to R): Charlie Stock, Jed Fuhrman, Joshua Weitz, Maureen Coleman, Steven Wilhelm, Derek Sonderegger, Mathias Middleboe, Frede Thingstad, Willie Wilson, Lydia Bourouiba, Mick Follows, Alison Buchan.